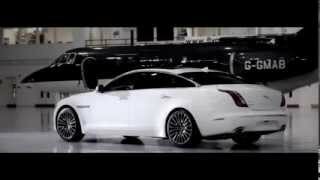 During this year's Beijing Auto Show, Jaguar's bespoke ETO division (Engineered to Order) revealed the Jaguar XJ Ultimate 2013, a limited edition luxury XJ boasting state-of-the-art technology, unique design features, a luxurious interior and a very high price tag. Under the hood the XJ Ultimate conceals a 510 horsepower supercharged V8 that comes hand in hand with an eight-speed automatic gearbox, so basically there aren't many changes brought by ETO in this department. However, the suspension has been tampered with in order to provide higher rear seat comfort. That being said, the most notable changes and additions brought to Ultimate 2013 come on the interior. The luxurious sedan offers a couple of individually-tailored rear leather seats featuring heating, heating or cooling and massaging. The rear seats are separated by a central console fitted with a motorized tray table built from aluminum, a bottle-sized cooler and two champagne flutes. In terms of technology and entertainment, the rear passengers have a couple of iPads with integrated keyboards at their disposal, as well as a pair of eight-inch touchscreens fitted into each front seat headrest. Furthermore, the XJ Ultimate comes with a 20-speaker audio system designed by Meridian, the same company that built the audio systems found in the McLaren MP4-12C and the Range Rover Evoque. On the exterior the Ultimate offers fewer changes compared to the interior and comes with a set of 20 inch forged allow wheels, some chrome touches at the lower air intakes found at the front end and of course some subtle "Ultimate" badges. Also, despite what we see in the pictures made available to us, the XJ Ultimate will be offered only in Black Amethyst paint job. And now to the final question: the pricing. 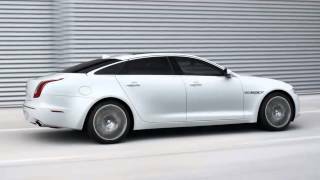 The XJ Ultimate 2013 will set you back no less than $155,000, which seems quite excruciating when you look at what the luxurious sedan has to offer compared to the base model. 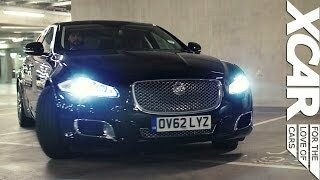 The thing is, only 30 Jaguar XJ Ultimate 2013 will be made available in the US later this year, which means you're most than likely going to pay the extra buck for the exclusivity rather than what the sedan has to offer compared to the ongoing model, which has a base price of roughly $74,000. Bumping the base price by $81,000 for a couple of iPads, some champagne flutes, a couple of redesigned rear seats and a more comfortable suspension seems like a really bad idea but, I'm pretty sure someone out there will find the idea appealing. Nevertheless, it's rather absurd when you consider the fact that instead of those extras you could pretty much buy a 2012 Audi A8 or a 2012 BMW 7-Series. Throw in another $10,000 and you get a 2012 Mercedes-Benz S-Class.